Shawn Wasson of The News Junkie radio show first contacted us in December of 2014. They already had an iOS/Android app, but were looking to take it to the next level. We spent several months working with their old app before committing to a complete rebuild. Since then we have had the opportunity of completely revamping the way that their listeners interact with the show. 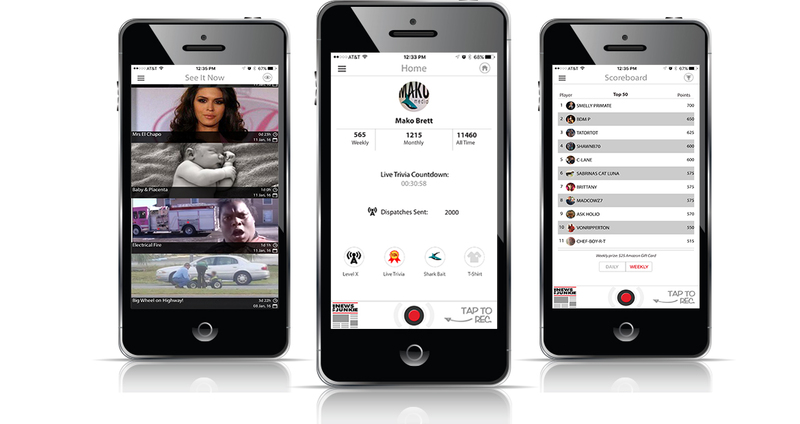 The primary features of this app include daily trivia, a See It Now section where users can view articles about subjects they are discussing live on the air, a dispatch section where users can provide content for the show, a chat room and live video streaming. This project required us to build a complex API, as well as a custom backend for Shawn, Sabrina and C-Lane to control the content of the app. We are continuing to provide support and updates for this application, and have big plans to enhance the way that people listen to radio.